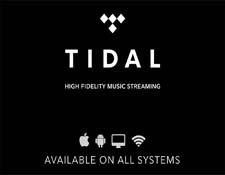 A couple of weeks back TIDAL announced a new update that, finally, enabled MQA-encoded streams to be processed and decoded by an IOS device, such as an iPhone or iPad. And while two years ago I would have been extremely excited by this new feature, now in 2019 it strikes me as worthy of note, but not worthy of much enthusiasm. Why? Because high-rez through an IOS device is still, when compared to other ways of obtaining high-rez music from a portable device, is kludgy, clumsy, and physically inelegant. Not only do you need an Apple-certified Lightning to USB adapter, but also a portable DAC to hang off the adapter. 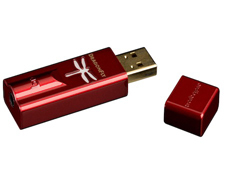 Even with the smallest DACs, such as the Audioquest Dragonfly Red, you have a slightly over 6-inch-long daisy-chain of devices trailing off your phone or pad's lightning connector. Add a slightly larger DAC, such as the IFI xDSD (which I have tested along with the Dragonfly for MQA compatibility and they both passed) and you are left with a 1 ½ inch thick mass that I guarantee you will not fit unobtrusively into your pants pocket. And then we have that darn Apple digital dongle. I have, during my lifetime, purchased several Apple-certified USB adapters, as well as several that were supposed to be fully-compatible, but were not. When the new feature was announced I went searching for a dongle, since it isn't something I normally carry, and after finding two incompatible dongles in a row and spending another 45 minutes looking for the camera adapter that I knew I owned, I gave up and ordered a new one...and yes I like to live dangerously so I got a third-party one from EBAY. It worked fine and kept an additional $20 in my pocket. 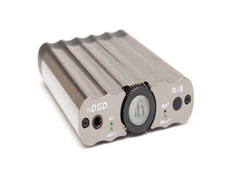 Another disadvantage of using some external DACs with an iPhone or iPad is that is if they do not have their own built-in power supply, such as you find in the IFI xDSD, the DAC will draw power from your phone. Your phone's battery life will be affected. This can be a problem during a longer trip where you might not have access to recharging opportunities. You can get a portable additional power supplies to recharge your phone, as they have gotten dirt-cheap as of late, but that is one more thing to carry. Once you combine the additional convertor, DAC, and extra power supply, the final result takes up more space and is less convenient that carrying an additional separate portable player! 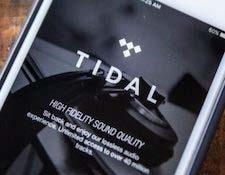 When you compare the IOS solution with some of the latest Android-based phones high-rez capabilities, it's quite obvious that the current Apple solutions to high-rez music listening are still decidedly second-rate in terms of convenience and form factor. Yes, the addition of MQA capabilities is a step forward for Apple devices, but even before this announcement IOS users could access un-encoded FLAC format high-rez music from Qobuz through their IOS device. Of course, they still needed the same kludgy hardware set-up, which makes listening to high-rez via Qobuz on an IOS device equally inept. I have my annual trip to the AXPONA audio show in Chicago coming up. Despite my iPhone's new high-rez streaming capabilities through both Tidal and Qobuz, I will not be relying on my iPhone as my traveling music source. Nope, it's still easier for me to travel with a separate portable player than to depend on my iPhone as my primary portable music source.